A safari in Africa is on practically everyone’s bucket list. So, if you haven’t gone yet, why not take advantage of our Six Countries Summer Special of 2014-15 offered in partnership with Wilderness Safaris? Twenty nine of Wilderness Safaris’ spectacular camps are included and we are offering highly discounted rates at many of the best camps Africa has to offer from 1 November to 31 March. No worries if you are traveling alone as there is no single supplement with this deal. Want to take the kids or grandkids? There is a 50% discount for children between the ages of six and sixteen sharing a family room with full-paying adults (only applicable at camps with family accommodation).Two of the camps that are included in this offer are Little Makalolo in Zimbabwe’s Hwange National Park and Little Kulala in the Sossusvlei region of Namiba. Little Makalolo is positioned in Zimbabwe’s Hwange National Park which is prime for game viewing. Elephant and buffalo can be seen year round and more uncommon sightings such as roan and sable are drawn out into the open in the summer months after the rainfall. The wide varieties of grass eating species that appear on the Ngamo Plains in turn attract hunters such as lions, cheetahs and leopard and the camp watering hole attracts more than a few curious creatures! 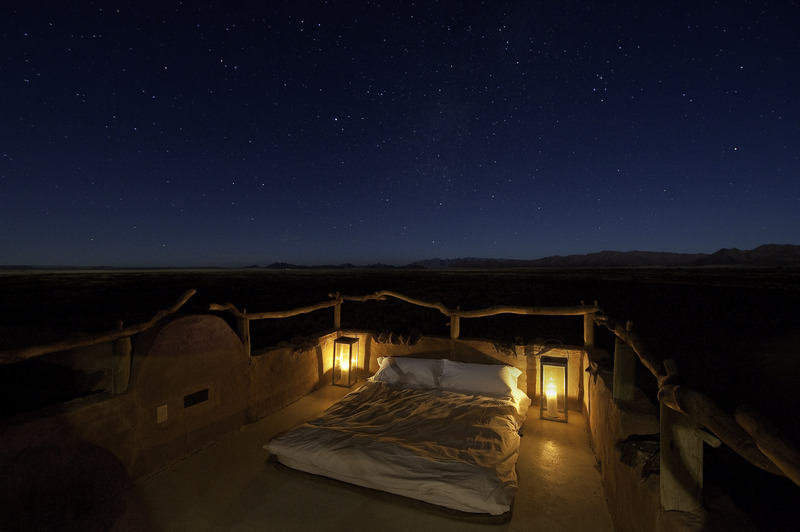 In the heart of the Kulala Wilderness Reserve is the small camp of Little Kulala, where you can enjoy the dramatic dunes of Sossusvlei in absolute luxury. Each “Kulala” has a rooftop bed for the most incredible star gazing . Most of the dune flora and fauna are active during the summer months – dune larks, cape foxes, oryx, springbok and suricates are a few of the animals you might see! The desert in summertime is spectacular and, if you are worried about the heat, each guest’s accommodation has a plunge pool to combat the weather. No matter where you want to go on safari, we can recommend a camp for you! We had a wonderful time in New Zealand! All the travel arrangements were flawless - we loved everything you arranged for us. We will STRONGLY recommend you to any of our friends going to NZ.